There has been much speculation about what Madrid can do to reign in Catalonia ever since its rebellious region went ahead with an independence referendum. One option open to Mariano Rajoy’s government is to invoke an obscure and never-before- used part of Spain’s 1978 constitution, article 155. It offers Spain’s central government the possibility to take back control of its regions if they breach laws or seriously jeopardise the general interest of Spain. Has it ever been used before? 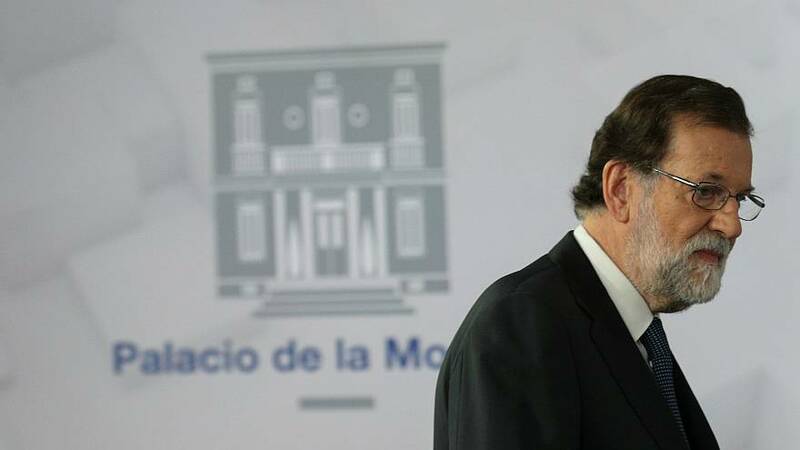 The closest Spain has come to invoking it was in 1989, according to Professor Alejandro Saiz Arnaiz, an expert in constitutional law from Pompeu Fabra University in Barcelona. Then president Felipe González threatened to invoke it against the Canary Islands amid a row over dismantling trade barriers as part of European integration. “So, almost 30 years ago, 155 was mentioned, but in a tangential way, without the intensity that is being done now,” Saiz told Euronews. The article has also never been applied in Germany, whose constitution inspired its inclusion in Spain’s, according to Saiz. How does it get invoked? Saiz says it has to get an absolute majority in Spain’s senate. But, before that, the government has to officially ask Catalonia’s president “to stop behaving in a way that is against the public interest or to breach the obligations imposed by the constitution and laws”. What happens if Madrid invokes article 155? This is where things start to get a little unclear. The article talks about the government being allowed to take the “necessary measures” to reign in its rebellious region without specifying what they might be. So what is likely to happen? Saiz believes the government would take plan of action to the senate for approval. “The government does not come up with a blank letter, it has the initiative and presents a series of measures,” he added. Will Madrid send military forces into Catalonia? How long would article 155 last? Saiz said if article 155 is implemented it’s possible it could be time-limited but that would be specified in the senate’s decision. There is also a possibility Spain’s constitutional court could intervene to suspend article 155 after it had been approved by the country’s government. What does article 155 say? 1. If an Autonomous Community does not comply with the obligations imposed by the Constitution or other Laws, or acts in a way that seriously undermines the general interest of Spain, the Government, upon request to the President of the Autonomous Community and, in the case of not being served, with the approval by an absolute majority of the Senate, may take the necessary measures to force the latter to comply with those obligations or to protect the said general interest. 2. For the implementation of the measures provided for in the preceding paragraph, the Government may issue instructions to all authorities of the Autonomous Communities.